The old thread was nearly 7 years old and we as mods need to sort of purge old, long threads to relieve some of the stress on the database. So, Post your Track training and Racing Bikes! Some of us like to see other setups in order to learn or simply nerd-out on bikes. Show us your bike. Last edited by carleton; 01-22-14 at 01:01 PM. Last edited by carleton; 01-22-14 at 01:10 PM. - Fit trumps materials every time. A properly fitting aluminum bike is better than carbon. - Proprietary seatposts slip. 27.2mm seatposts are king. - Steel track ends slip. - Titanium track ends don't slip. Your current setup is definitely the best looking one, I know that doesn't matter in terms of racing. But that's a really attractive setup you've got. That saddle on that LOOK seems weirdly placed to me, compared to the other three bikes. Way further back than the others. I used to ride 165mm cranks and sit way forward in order to spin them. Last year (under Kirk) I switched to longer cranks, moved the saddle back, and changed other parts of the fit in order to push bigger gears. It was starting to work. Power numbers went up. But, I quit as the season started when work got really stressful. I don't use the Arione anymore, though. My Felt TK2. I plan to race this at T-town in the Sat. afternoon "Rookies & Masters" races in 2014. The bike is pretty much bone stock. I did replace the Felt aero carbon seatpost with a Nitto alloy unit. Also, I'm currently using 38 cm FSA bars - not really ideal, but they're good enough for now (and better than the funky 3T Sphinx bars that came with it from the factory, IMO). Nice! have you been on the track with it yet? I've always loved that bike. It's a great all-around bike. It's a pretty fine bike. You'll love it. One thing that struck me... the Forza is billed as a pursuit and enduro bike, but the geometry is almost identical to the DF3 so I figured I'd get this since it was priced better and the front end geometry was a little more like my other bikes (74.5 degree headtube as opposed to 74 degree for the DF3). Well, I was struck by how stout this bike is; the frame is surprisingly heavy, especially the aero seat post. 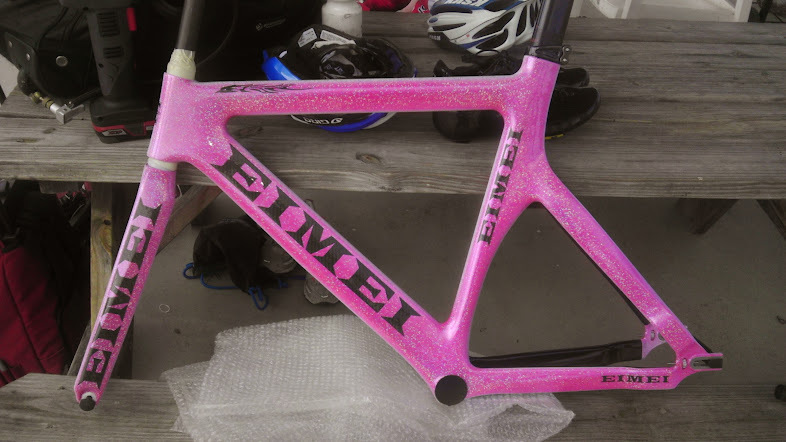 Not at all like the carbon road bike frames I've seen. I'm a sprinter, so this is a good thing. I don't really care what their marketing copy says... this bike is a fine sprint bike. I can't wait until the track opens up in the spring. Last edited by Brian Ratliff; 01-22-14 at 06:28 PM. Not yet. Just got it this month. Do you know if Alpenrose is even rideable right now? It's been an unnaturally dry winter this year... maybe I'll take it out soon and give it a whirl. I was wondering the same thing. It has been relatively warm, too. I'll ask Kirk. He'd probably know. I'm a little bummed I missed out on Tiemeyers. I'm sure the void will be filled though, so I should have an opportunity to get the next great thing. 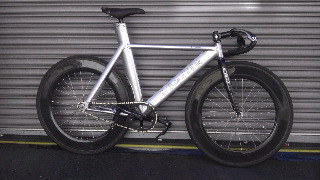 I'll be using mine for track and he's drilling the fork for me so I can use it as a fixed TT bike. Can't wait to get it! 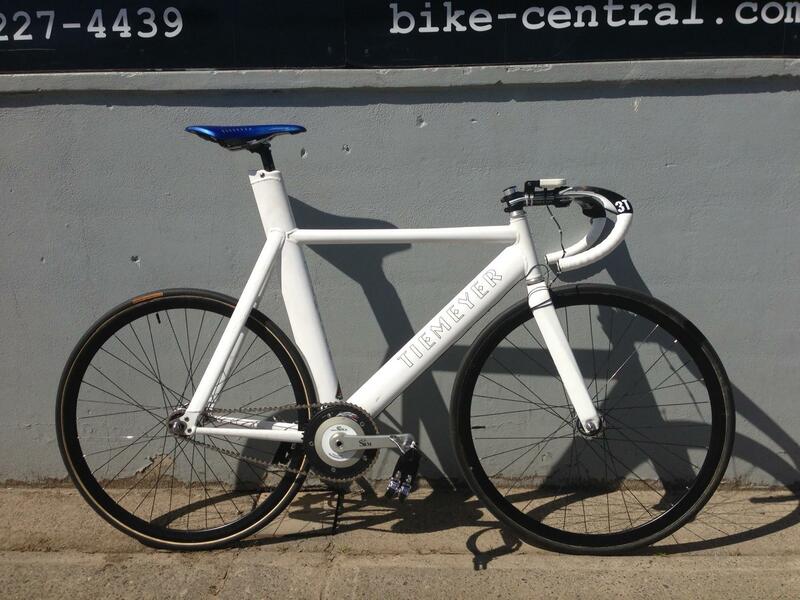 As soon as I do I'll be trying it out at Manchester velodrome. The Tiemeyer! RIP! i am apparently the only person in nearly 700 bikes that broke the binder bolt support on the frame.. awesome bike! i love the DF3! a buddy sold me his used- really a great bike! 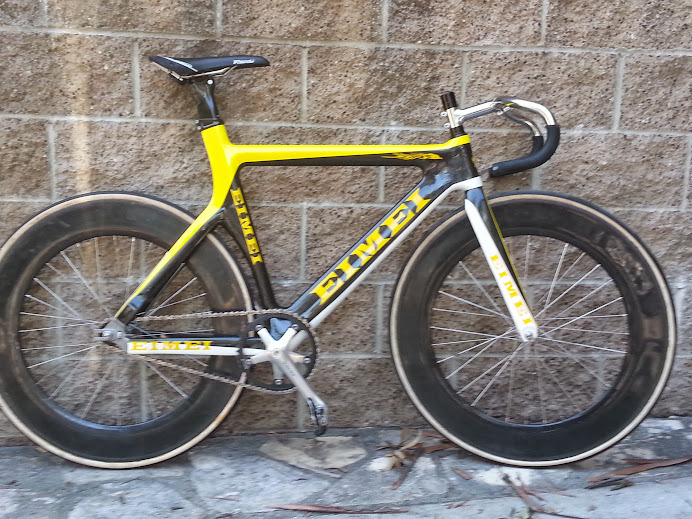 i was demo'ing this one for the distributor.. had some post slip issues that were made worse by the fact i had to change saddles 2x a day (saddle set-back reg) now that i can have 1 saddle position for sprint and TT i will likely give the Eimei another try..
What is your setback currently? What is this bike? 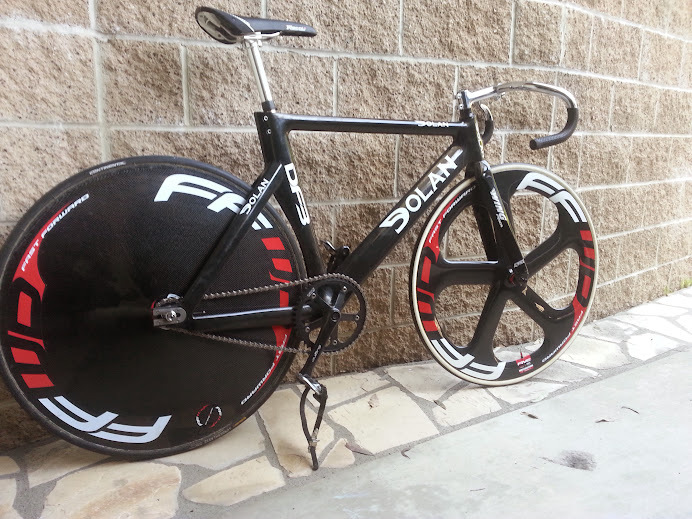 It looks like a Dolan rear dropout/triangle and fork; almost like a DF3 but with an aero seatpost. That seatpost is also exactly like the Forza seatpost. I have to admit, I am a little wary of the seatpost slipping on my Forza. OTOH, I had to use a mallet to (very gently) tap the seatpost into the frame and saddle height adjustment requires me to work the seatpost back and forth to make it move; it doesn't slide freely. the best i can tell it is the "Dolan Arc" (also sold as a Teschner Track Pro) but with the dropouts from the Forza..
it is being sold as a "Girls Keirin" bike.. looks like all the njs producers are branding carbon frames for the girls..
i am hopeful that upgrading the bolts and using tons of carbon paste will fix the slip... but i know the Arc slipped as well.. so i am nervous. Last edited by Quinn8it; 01-22-14 at 11:24 PM. Edit: How the hell do you get the image to show up full size in the post?? Edit 2: Hmm, That didn't quite do it, but thanks for trying, Brian. I'm not that web savvy. I don't know the "official" way of doing it, but I publish the post, just like you did, then I click on the thumbnail to open the full size picture in a new window, copy the web address of the picture, and edit the post I just made. Really round about, but I don't know another way except to post the picture on a third party web server.